Do you know a child who is fascinated by Dinosaurs? 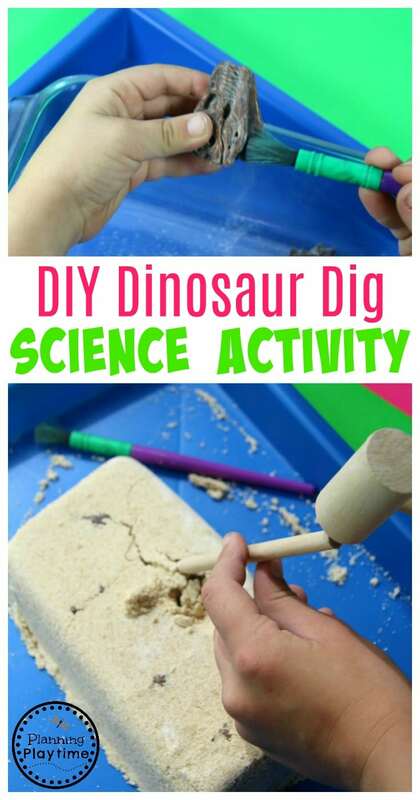 This DIY Dinosaur Dig activity for kids is a fantastic way to turn them into mini paleontologists for a day. 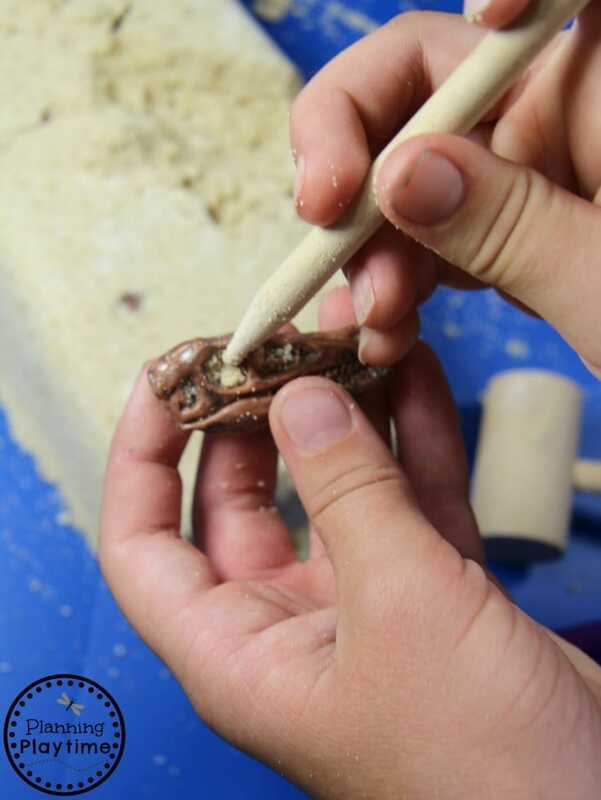 They get to experience the bone excavation first hand while learning the amazing science surrounding dinosaurs and their extinction. Real life Dinosaur digs are taking place across the world right now. In fact, according to this map from the Smithsonian institute, there may be dinosaur bones in your backyard!! While most children won’t have the opportunity to trip over such a fantastic discovery, they can experience a lot of the fun of a dinosaur dig at their kitchen table or in school. 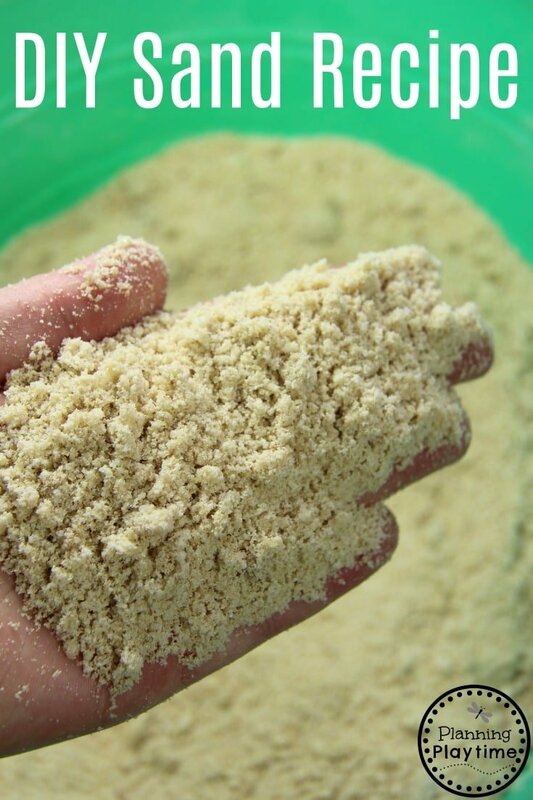 This simple recipe creates a sand like substance that packs together beautifully around artificial bones. The children can then dig for, clean and collect the dinosaur bones. 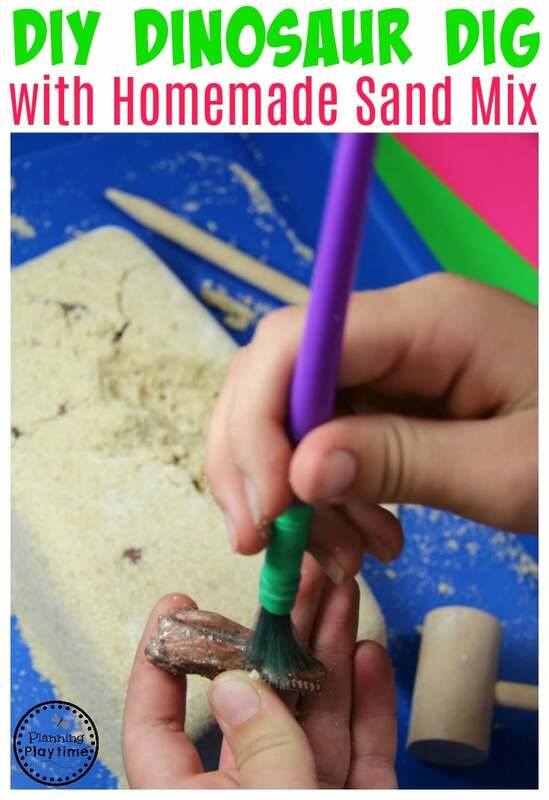 Even better, the sand is reusable, so once one child has had a turn, re-pack your brick and let another one try. The day I made these, they kept 10 children (several of my own and their friends) busy and excited for over 4 hours. That was just the first day!! Dinosaur Bones (Option 1) *For multiple bones in one dig. Dinosaur Bones (Option 2) *For one full dinosaur skeleton in your dig. *Makes enough to fill one loaf pan packed down. Instructions: Combine the dry ingredients, and mix well. Then pour in the water. 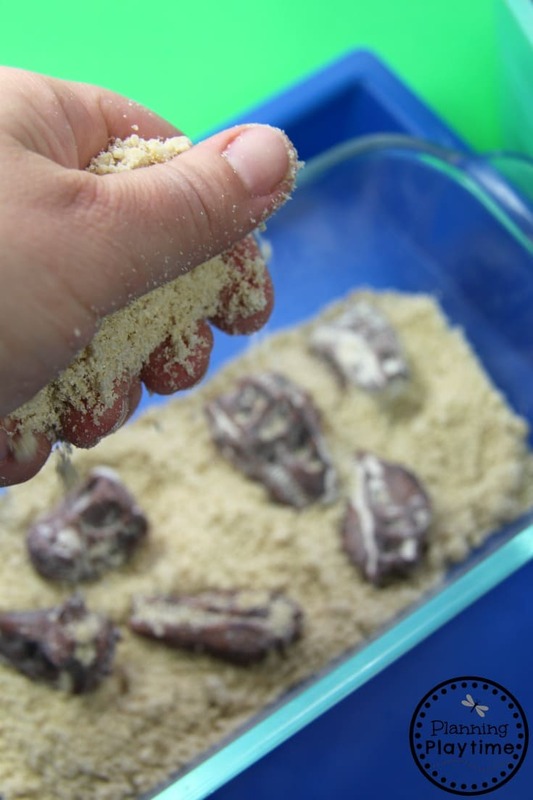 Mix with your fingers until the mixture resembles moldable sand from the beach. Be careful to not add too much water. You just want the sand a bit damp so it can stick together. Next: Place a layer of the sand mixture in the bottom of a loaf pan. (You could also use a bowl or whatever type of deep dish you have on hand.) Lay a couple of bones down on that level. 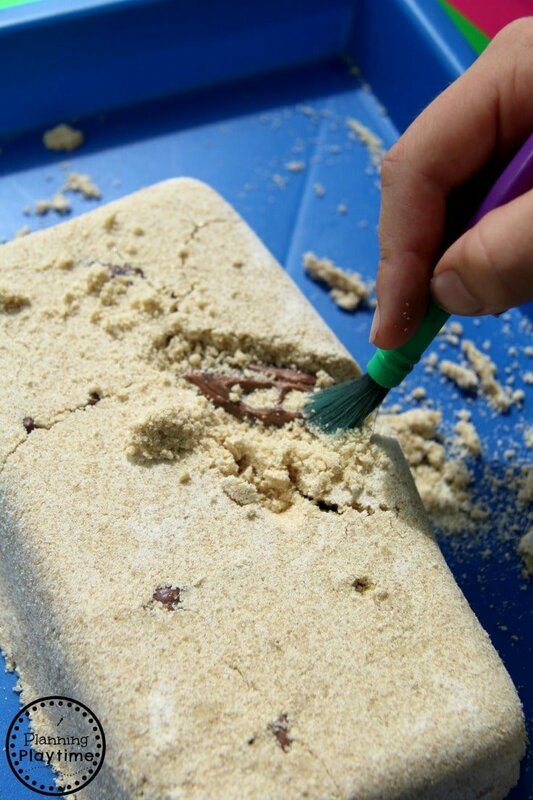 Cover the bones with another layer of the sand mixture. Then add more bones. Continue until you have filled the loaf pan (or other container) with sand and bones. Pack the sand mixture down tightly. This will help the shape hold together after you turn it over. 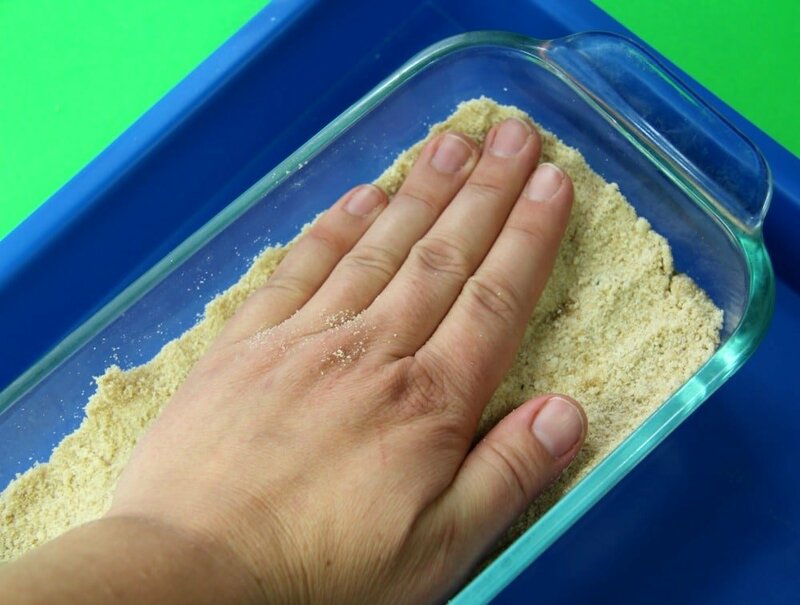 When you are done packing down the sand, carefully flip over the loaf pan. Tap the bottom of it just a bit if it needs encouragement to come out. We didn’t have any trouble. It popped right out, and held it’s form beautifully. Here’s where it gets super fun! 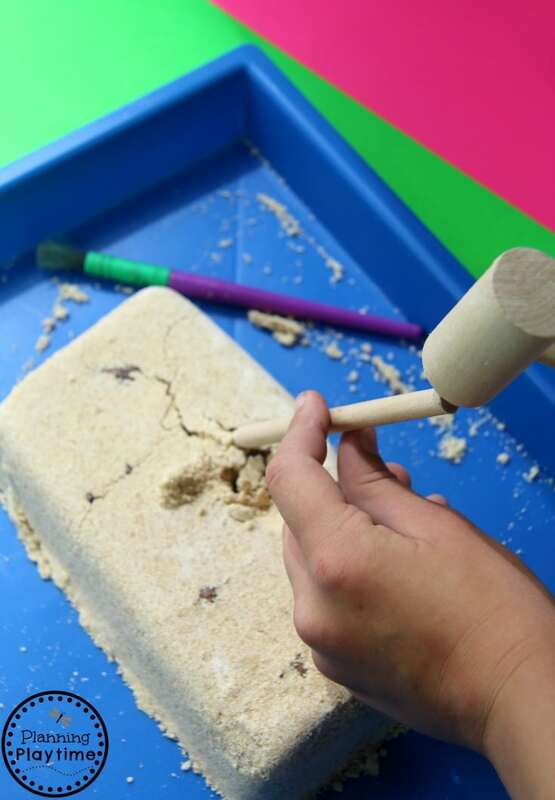 Pull out excavation tools like a wooden hammer, a pointed stick or toy chisel. You can also use paint brushes, a clean tooth brush, toothpicks, and whatever else you think might help. Then let the children start working on their dig. Have them work like a scientist, being ever so careful to remove the dirt from around the fossil and free it. 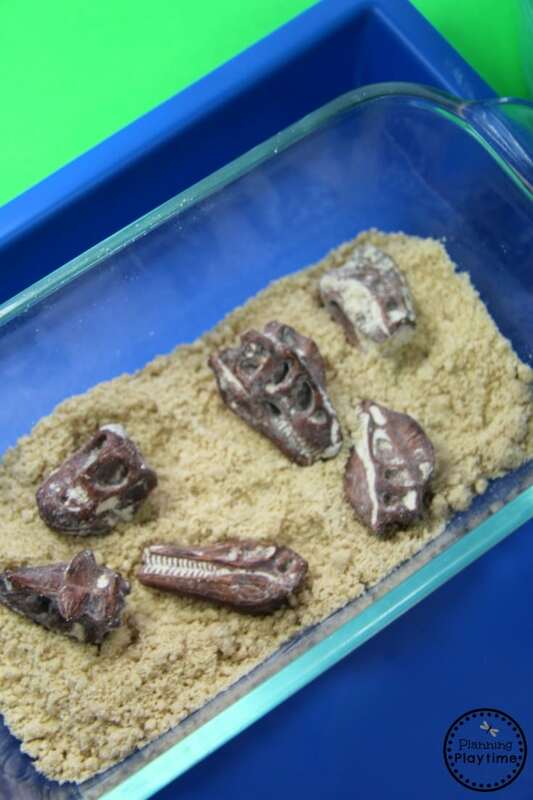 Then do more detailed work to take away any remaining sand and clean the dinosaur bones. As soon as you have finished this activity, you can re-pack and start again. You can also try hiding gems in the dig for a fun twist. Be sure to talk about the science before or while they work so they can appreciate the process. 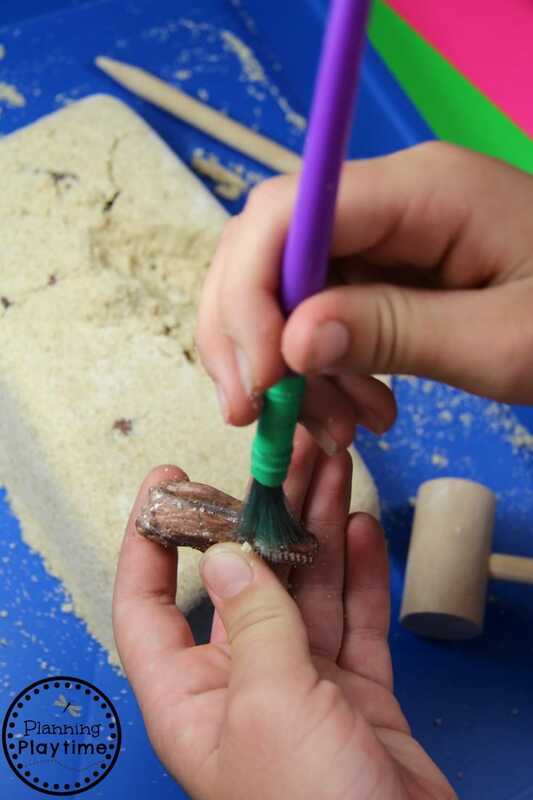 Thank you for checking out our Dinosaur Dig for kids and DIY Sand Recipe. I really do hope you get a chance to try it out, because it is the best indoor activity fun we’ve had this summer. Feel free to pin an image on this page for future reference. Are you using corn flour or corn starch? I used corn flour. It gave it a gritty texture more like sand. 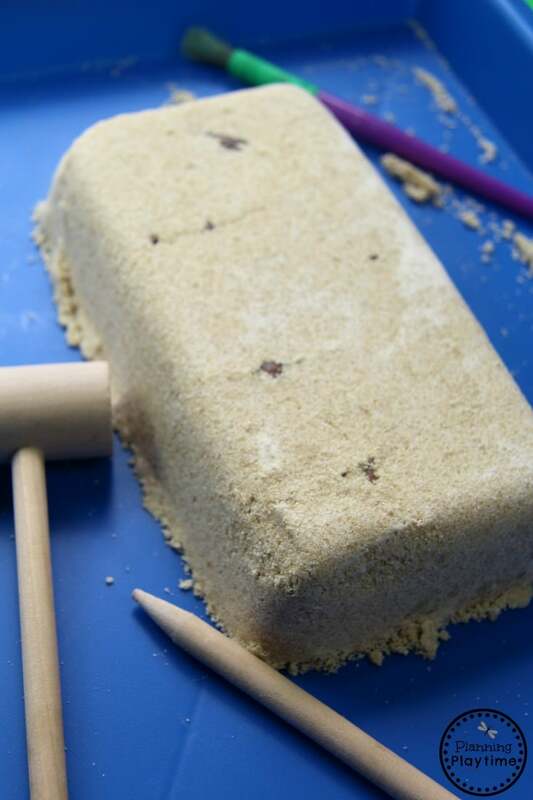 How long will the sand stay together once molded? Is this something that would still be good if left out for a week? Mine held together, but it did get a little dry after being left out for a while. It is the easiest to work with if it is just a bit damp.